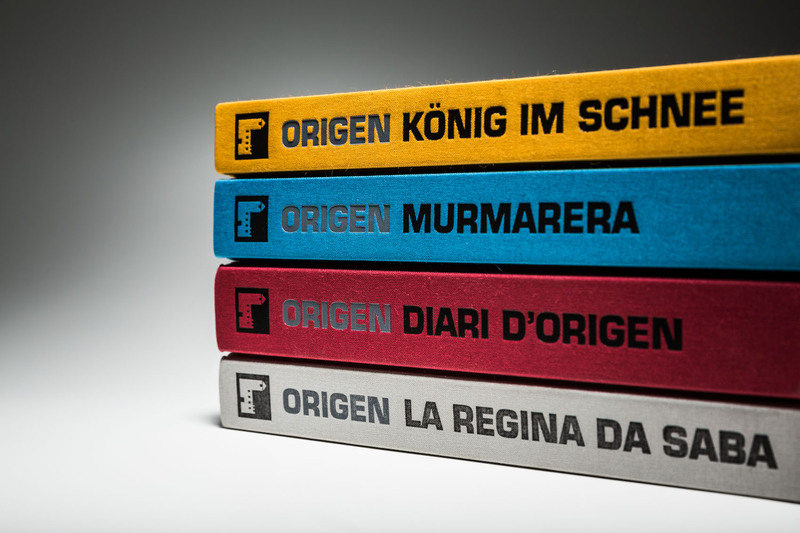 The «Origenal» series are published irregularly and document outstanding projects of the cultural institution Origen (Riom | Grisons). The project «La Regina Da Saba», a photo volume about the production of «Königin von Saba» on the Julier pass in 2010, got the book series started. the follow-up book «Diaria d'Origen» was published in 2012 and followed the exceptional year on the theme «Babylon» - deeply interwoven with the mountain village Riom. The third volume «Marmorera», documented the open-air production «Noha» on the dam of Marmorera in 2012 and the changed of nature within a year. The fourth volume, «König im Schnee» documented the open-air performance of the theatre which bears the same name in the Upper Engadin. The fifth book follows the history of the emigrant family Carisch.